According to news from HRANA , Sepideh Ghoulian student of veterinary college and human rights activist is arrested by security forces at her parents home in the city of Ahwaz and no one knows on her whereabout . The report further indicated that, the security forces were from the Sepah Pasdaran and they have told sepideh's family not to speak to anyone , when needed , we will let you know. The report also said: She is arrested because of her activities in Instagram and human rights activities .
" Prison deteriorated my father's health condition and he suffers from irregular blood pressure , low blood level and severe digestion problem. She warned the officials about her fathers health condition. She wrote : Mr. Alavi , ( minister of information ) may be you can hear our voice.Its been six years since the imprisonment of my father . The least rights of a prisoner is justice to be served , but on my father's case , his case file is closed without even reading his file. during this harsh six years , my mother sent several letter to the judiciary officials without even receiving an answer , its not clear were all these letter have gone ?!! 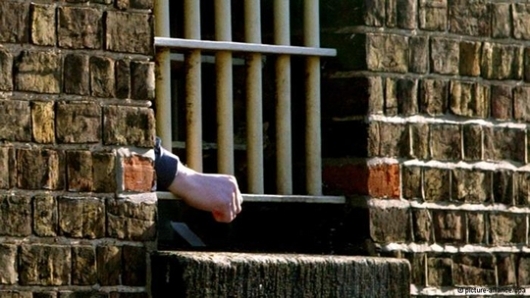 She added : In this six years imprisonment , he is given only one chance to leave the prison and spent time with family . At the end of her letter , she demanded from minister of information to prevent any unpleasant events . 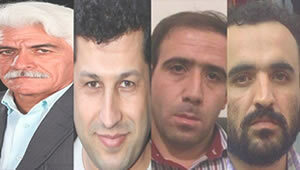 According to HRANA news report , the court of revolution in Baharestan city - Tehran Province sentenced four Azari ( Turk ) to 45 years of imprisonment and internal exiles . The court has charged them with creating " illegal " group. The report also indicate that, these four were just doing cultural and language rights ( Mother tongue ) activities. 1- Akbar Azad .......Journalist and researcher ........sentenced to 10 years imprisonment and two years internal exile to Dareh Shahr city in Ilam Province. 3- Behram Sheikhi ......10 years imprisonment and two years internal exile to Masjed Soleyman city in Khouzestan province. 4-Hamid Manami .......10 years imprisonment and two years internal exile to Azna city in Lorestan province .. They have received their sentencing on the International day of Mother tongue. 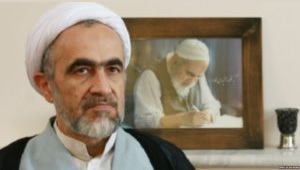 According to news coming from Iran , Qom Special court for clergies sentenced Ahmad Montazeri to six years imprisonment on charges of weakening the state , insulting and publication of several lies against the founder of the state , Ayatollah Khomeini and his son. 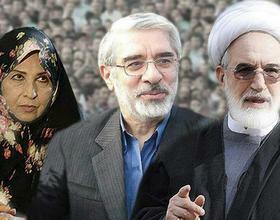 Earlier Mr. Ahmad Montazeri was sentenced to 21 years imprisonment for releasing the voice record of his father about the mass killing of political prisoners in Iran on 1987-88 and was ordered to remove his clergy outfit , which is reduced to six years imprisonment and is banned to use the clergy outfit . 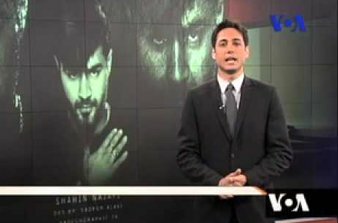 (Beirut, February 16, 2017) – The Iranian authorities have arrested and detained the mother of one of the victims of the government’s violent crackdown on protests in 2009, Human Rights Watch said today. The authorities should immediately release Shahnaz Karimbeigi, who became an activist after her son was killed and has been in Evin prison since January 25, 2017, or promptly bring recognizable criminal charges against her and guarantee her a fair trial. Karimbeigi’s 26-year-old son, Mostafa, was one of several protesters who were shot and killed during protests on December 27, 2009, linked to the disputed 2009 presidential election. Fifteen days after his disappearance, authorities directed the Karimbeigi family to the Kahrizak detention center morgue, where they identified Mostafa’s body, a source familiar with the case told Human Rights Watch. In the ensuing years, Karimbeigi has become a visible presence, demanding that the authorities identify and prosecute those responsible for her son’s death. 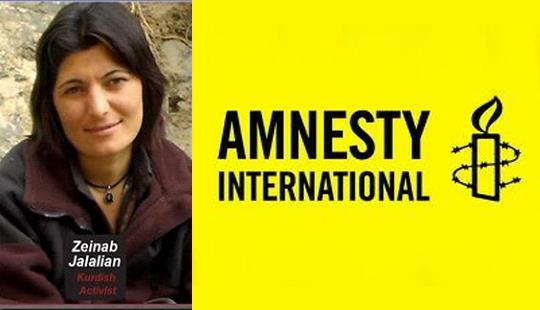 Three weeks after her arrest, her family has not been informed of any reason for her detention. Authorities from the Intelligence Ministry arrested Karimbeigi at her workplace on the morning of January 25, and later that day searched her apartment and seized all her electronic devices, including her laptop. They also threatened Karimbeigi’s daughter and husband over the phone and summoned them for several hours of interrogation at the ministry’s “Follow-up Office” the next day, the source told Human Rights Watch. 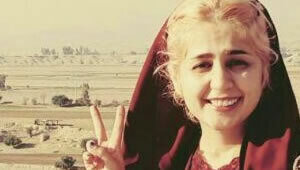 But it is not clear what charges Karimbeigi faces, and she has been denied access to a lawyer. Authorities had threatened, harassed, and briefly detained Karimbeigi several times before her arrest, the source said. 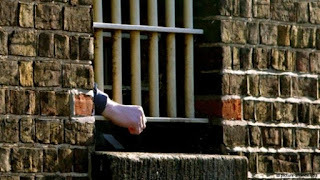 International law guarantees anyone accused of a crime access to a lawyer at all stages of criminal proceedings, including during the investigation, the pretrial proceedings, and during the trial itself. Iran’s 2014 criminal procedure law stipulates that anyone arrested should be given access to a lawyer while under investigation, with the exception of those accused of “national security crimes,” for whom such access could be delayed for up to a week. Article 48 of the law also requires people accused of national security offenses to select their counsel from a pre-approved pool of lawyers chosen by the head of the judiciary. The judiciary has yet to provide the list of pre-approved lawyers mandated by the new law, but even in the absence of a list, officials are effectively denying detainees’ access to legal defense and the right to be represented by a lawyer of their choice when they face national security crimes. Since her son’s death, Karimbeigi had participated in several memorial gatherings with the mothers of other victims of the 2009 crackdown to demand justice for their loved ones, as well as organized public support for the families of imprisoned activists. 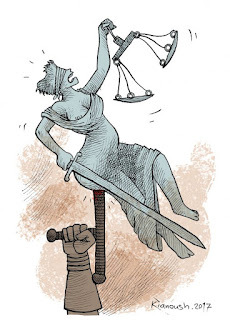 Most recently, Karimbeigi was one of several advocates using social media campaigns to support Arash Sadeghi, a human rights defender serving a 15-year prison sentence in Evin prison. If you would rather not receive future communications from Human Rights Watch, let us know by clicking here. 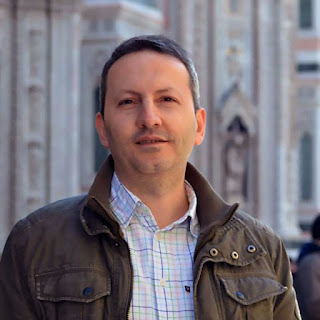 Dr. Ahmadreza Djalali urgently needs your help. This week, Dr. Djalali, a scholar of disaster medicine, was reportedly sentenced to death by the Iranian authorities in apparent connection to international academic collaboration. He is scheduled to be executed within two weeks. SAR understands that Dr. Djalali, an Iranian-born resident of Sweden, who teaches at universities in Italy and Belgium, was arrested in April 2016, while visiting Iran to participate in a series of academic workshops. He has since been detained in Evin Prison, and was reportedly held in solitary confinement without access to a lawyer until December 2016, when he was transferred to a public ward. On February 1, 2017, Dr. Djalali informed his sister that he had been forced to sign a confession, which reportedly relates to crimes against the national security of Iran. Shortly thereafter, he was reportedly sentenced to death. Dr. Djalali’s wife and academic colleagues have all strongly denied any possible national security charges against him, citing his dedication to international scientific collaboration. SAR asks for emails, letters, and faxes respectfully urging the appropriate authorities to reverse Dr. Djalali’s capital sentence, reconsider the charges against him, and, pending such action, asking the authorities to take all available steps to ensure Dr. Djalali’s well-being while in custody, including ensuring access to medical care, to legal counsel and to family; and likewise to ensure that his case is addressed in a manner consistent with internationally recognized standards of due process, fair trial, and detention, in accordance with Iran’s obligations under international law. 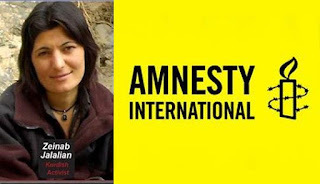 According to news by Radio Zamaneh , Kianoosh Sanjari the Iranian - American journalist , blogger and human rights activist arrested in Iran . On October he returned to Iran and on December the security forces have arrested him and he is currently in prison. His parents kept the news secret , knowing that publicizing the news may endanger his life and it may also prolong his detention. Kianoosh sanjari was a student activist while he was in Iran and was arrested in two occasion in the past , one was during the student uprising and the other time when he protested with a group against the arrest of Ayatollah Brojerdi. 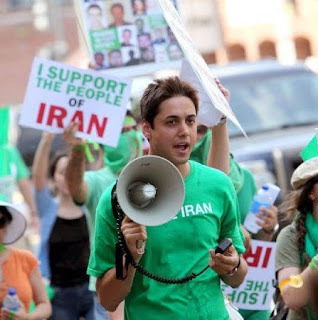 He left Iran for America and become a refugee there and the he started working for the Voice of America as reporter . later he lost his job at Voice of America . Kianoosh Sanjari was also active in " Human Rights Reporters Committee " . Returning to the home country is everyone's rights . Everyone must be able to return to his home country without fear of arrest and detention . Islamic regime must end these kinds of arrests and allow all Iranian who have fear of arrest to visit their parents without prejudice . 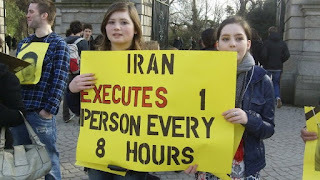 But I don't understand why someone who have had a lot of activities in Iran and was in prison and then left the country and become the refugee in another country , despite of all the danger of arrest and detention return to his home country while knowing that he will be arrested...???!!! people and their unanswered demands . 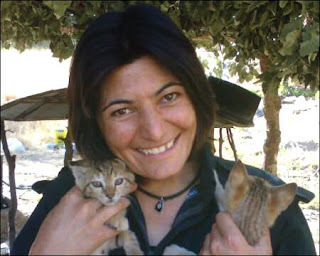 Zeynab Jalalian, aged 34, was a political activist working to empower Iran’s ethnic minority Kurds, particularly women. In 2008, she was jailed for life for her supposed links to the military wing of a Kurdish opposition group. Her trial was grossly unfair. Not only was it over within a few minutes, but she was sentenced based on “confessions” she says she made after enduring months of torture. There was also no evidence linking her to armed activities, and she was not allowed to communicate with her lawyer. Before her trial, she was held in a cell on her own for eight months. During this time, says Zeynab, she was flogged on the soles of her feet, and her head was repeatedly rammed against a wall, fracturing her skull and causing bleeding in the brain. Today Zeynab suffers from a severe eye condition that urgently needs specialist surgery. Yet the authorities won’t permit it. She needs our help. Iran’s authorities took away her freedom – we can’t let them take away her sight.